If you pride yourself on avoiding the tourist traps in DC like the plague, then finding out that you're going to be hosting a group of tourists for the weekend can be an anxious prospect. While it totally makes sense that your mom and cousins want to see the sights (you can't expect them to just hang out at Ivy & Coney with you all Saturday, excellent as that would be), it's also understandable that you really, really don't want to do anything that involves Segways, ducks, or riding a bus for pleasure. So book one of these tours instead and keep your self-respect. Be a baller -- or just feel like one. OK, so the TSA (pretty understandably) isn't super thrilled about the idea of helicopters flying willy-nilly all over the District itself, but if you're interested in showing off the rest of the area, helicopters are still very much an option. 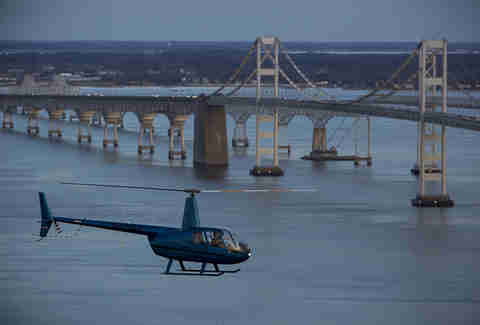 Monumental Helicopters will happily help you show off the beauty of Annapolis, Baltimore, or the Chesapeake Bay, and they're just a 45-minute drive from DC (uh, assuming the traffic isn't horrifying… which we will acknowledge is occasionally a big assumption). Prices for tours start at under $400, and include up to three people for that price. You'll want to make a reservation at least a day in advance… or longer, if you have a set idea on the itinerary. As beer continues to take over DC, so do tour options that don't involve riding around in a bus, getting yelled at by a failed comic with a megaphone. 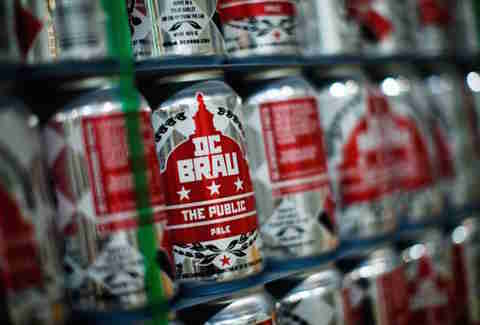 DC Brew Tours offers tour packages that'll whisk you safely from brewery to brewery, giving you the chance to sample from the best of the city's excellent local brewing scene, including DC Brau, Capitol City Brewing, and Right Proper. Both the daytime and evening rides include full beer-pairing meals in addition to the VIP tours, which kind of makes these rides a totally good value at $90 a pop. 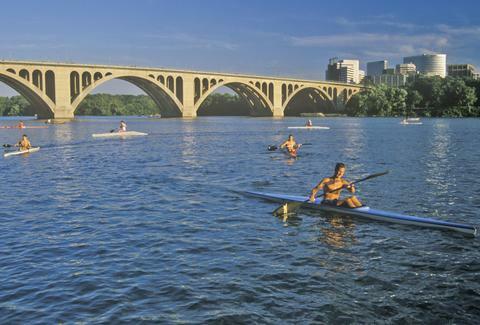 If your cousins really need to see all the monuments, a kayak tour has to be the least boring way for you to experience them. The tour includes instructors who will teach you what you need to know about paddling, and guides who will give you the full rundown on all the monuments you pass (and other items of note). Uh, make sure everyone in the party can swim, first. Reserve a spot on the website and be prepared to pay $95 apiece. OK, paddling around for four hours might not be everyone's version of a swell time, but kicking back onboard a boat probably is. 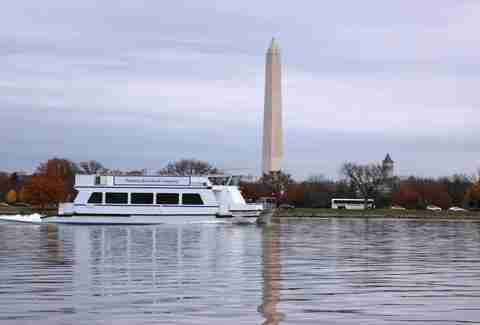 This 90-minute cruise will make your visiting relatives happy, with highlights like the Jefferson Memorial (it really is the prettiest one), the Kennedy Center, and the Washington Monument. No exercise required, $28 round-trip. There are tours every Saturday during the warmer months, but on the third Saturday of each month, the cemetery also hosts special Civil War tours, free to the public. In addition to being a functioning graveyard, this cemetery is both very beautiful and friendlier than most: it hosts yoga classes, dogwalking groups, and film screenings, so you don't have to feel bad about disturbing the dead. 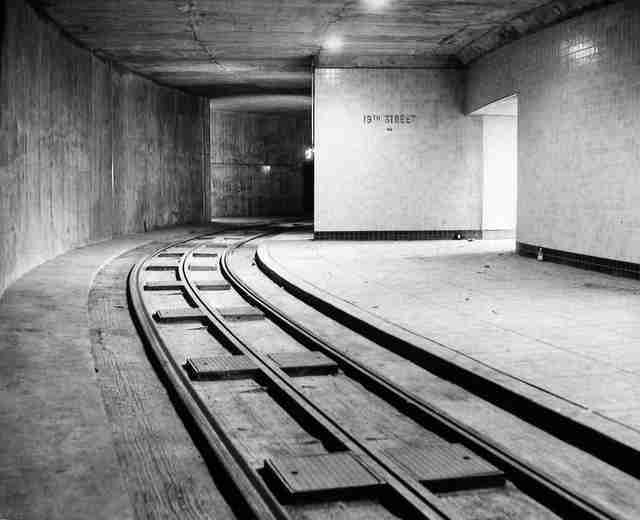 The old underground bomb shelter -- née streetcar station -- beneath Dupont Circle is definitely a space worth exploring. Fortunately, it's attracted a team that's dedicated to preserving and revitalizing the space. While their recent, super-cool art project has been taken down (it involved bubbles glued into stackable blocks, like giant Legos), the space has more surprises up its sleeve -- and if you email, chances are you could tour it for $20 a pop. Be forewarned, however: this adventure is basically half caving, and thus not appropriate for any visiting kids. Sure, you can just show up and get corralled into a "visitor center." But if you want to experience the Capitol in a real way, contact your senator's office, and arrange for a tour. You'll need to actually plan for this -- like three months in advance -- but it's so worth it. See if you can't coax them into letting you see the weird little subway under the Capitol, too. Free. Yeah, he's been there since the 1980s. 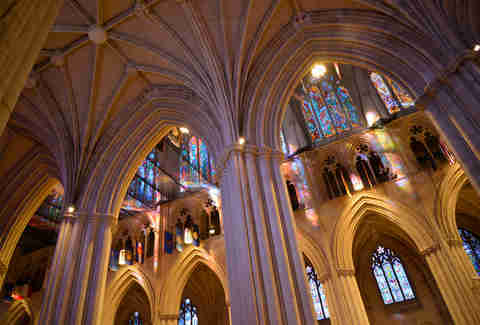 The Cathedral, magnificent DC landmark that it is, offers a seasonal, rare, up-close glimpse of its famous gargoyles. Show up during colder months, and you can still take a tour that's not recommended for anyone with acrophobia. It involves ascending 333 stairs to the top of the central tower. There's no charge for either tour, but pro tip: bring binoculars. Stroll from restaurant to restaurant while sampling highlights of Ethiopian cuisine. The District is known for having an absolutely phenomenal Ethiopian food scene, and as DC Metro Food Tours notes, "The 200,000 person community boasts over 45 Ethiopian restaurants throughout the DC area, more than any Ethiopian community in the United States." They offer plenty of other food tours in the city -- from Eastern Market to Adams Morgan -- but for out-of-towners, this one should be the highlight. $52 a pop. Roam the halls where some of the most important legal decisions in our country are made. You can do it on your own, or go for a docent-lead 30-minute courtroom lecture, 9:30am to 3:30pm, Monday through Friday, free of charge. From October through June, you can even catch the court in session Monday through Wednesday, 10am to 3pm. Free. Given that this is a city with a long, complicated history, there have to be a few ghosts roving around the city, right? Hear about conspiracies, assassinations, and murders that took place right where you're walking. This may seem like a Halloween activity, but honestly, ghost tours are even more fun during seasons when spookiness isn't the standard. Tickets are $17 a pop for adults. 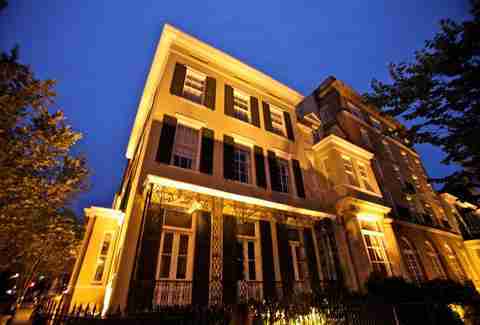 The Mansion on O Street offers a variety of delightful tours and hunts, including a Champagne Tour (precisely what it sounds like), and a Penthouse Tour of the mansion's famous secret passageways and concealed doors -- including the Penthouse Suite -- but the most inspiring, by far, is the Mrs. Rosa Parks tour. The famous civil rights activist was a resident of the mansion for over a decade, and the tour offers visitors a chance to "visit her favorite rooms, view mementos, and hear inspiring stories of how she touched us all." $50/person. Jess Novak is the editor of Thrillist DC, and is going to find a way to check out the ruined marble bathtubs in the basement of the Capitol one of these days. Follow her on Twitter and Instagram.